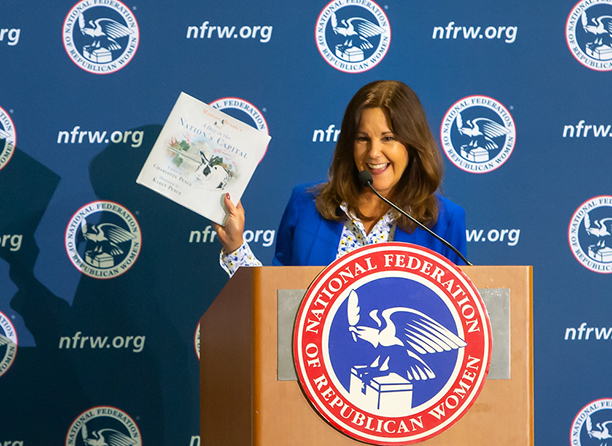 At the NFRW spring board meeting, second lady Karen Pence previews "Marlon Bundo's A Day in the Nation's Capital," which will be released April 9. This is the second book in the series created by daughter Charlotte Pence and featuring Mrs. Pence's illustrations. All events at the Westin Alexandria Hotel. Evening, Attendees may enjoy dinner at one of the many wonderful restaurants in Old Town Alexandria. Questions? Contact the NFRW at events@nfrw.org.